IF YOU TALK TO THE WINE EXPERTS (that would be me and pretty much everyone else who thinks he is), at some point someone will tell you that you need to decant a particular wine. It might be a young red or an old red. It might even be a young white burgundy or, perhaps rather shockingly, an old bottle of Champagne. You will note that at the most basic level, there are two reasons to decant a wine: because it is young and because it is old. As you might guess, each gets different treatment. Young wines are often decanted because the need air. The need air in the sense of oxygenation as opposed to oxidation (but of course too much oxygenation leads to oxidation. When many wines are young, they often show “tight” or “closed” which is to say that they don’t show much at all. They need aeration to help work some oxygen into the wine and allow the volatile gasses that make up aroma and flavor to emerge. You can achieve this through pouring the young wine into large glasses and swirling but enough swirling of this sort to really open up the wine can be tiresome. Rather than swirling in the glass, it can be better dump the bottle in to a large decanter where a large surface area allows a lot of air contact. 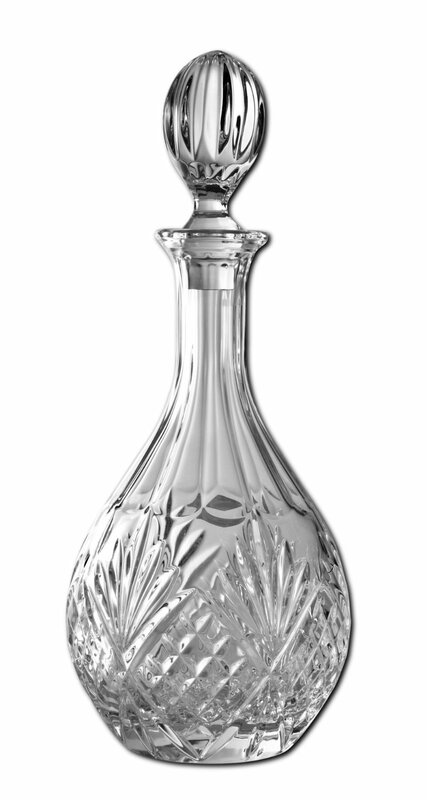 The two most common vessels for this sort of decanting are Duck Decanters and Captain’s or Ship’s decanters. Both have large surface areas and each has it’s own advantages. Duck decanters are much easier to pour. Older red wines need to be decanted not to add air but to remove sediment, or more precisely to move the wine off of the sediment. As red wines age, the phenols (tannins, anthocyans, flavonoids) polymerize (link up into molecular chains) which ultimately get too big to stay in suspension in the liquid and so precipitate out into a grainy or even gritty dark sediment or deposit. There is nothing wrong with this and it certainly won’t hurt you to ingest it but it is ugly in the glass and can cloud the wine if it is swirled up into it. And the texture in the mouth is not all that pleasant either. So it is best to decant older wines that have “thrown a sediment” in the bottle. Who are the candidates for decanting? Vintage Port and red Bordeaux are the first things that come to mind but any age-worthy red with eight or more years in the bottle can be a candidate. As these wines are older and have (we hope) developed with bottle age, the do not generally need any aeration. Some, especially wines based on Syrah and, to a lesser extent, Cabernet Sauvignon can be a bit “reduced” (Please see note below on Oxidation and Reduction) so they may need a little air to open up even after some years of aging but that aeration can generally be better gained in the glass rather than in the decanter. So how do you go about decanting an older wine? In addition to the bottle of older wine and a good corkscrew, you’ll need three things: an appropriately-sized decanter, a small flashlight, and a decanting funnel (not to be confused with an aerating funnel). An “appropriately sized decanter is one that closely approximates the capacity (if not the shape) of the bottle you are decanting. Ideally, you are decanting a 750ml bottle into a decanter that can hold a smidge more than 750ml. (A “smidge” is less than a “skosh” which in turn is less than a “bit.” But I digress …) Use a single bottle decanter or, in a pinch, use an old clear wine or Champagne bottle. The small flashlight replaces the traditional candle on which I have occasionally singed a finger. A flashlight may lack the romance of a candle but a good one is brighter and more effective at showing you when the sediment begins to move in the bottle from which you are pouring. The proper decanting funnel has a crook at the end of the spout so as to guide the wine to the side of the decanter to run down to the bottom thus avoiding splashing and unwanted aeration. Someone decanting a particularly old bottle may want to first purge the air from the decanter by spraying in an inert gas mixture such as those found in “Private Preserve” or “Vineyard Fresh.” By replacing the air in the decanter with inert gas, you further reduce the possibility of oxidizing a precious older vintage. If you know well in advance that you are going to open a particular bottle, stand it up for a day or even two before the big event. Even a couple of hours up right is a good thing. Ideally, this standing will take place in your temperature-controlled wine storage cabinet, closet, or cellar. When you stand the bottle up, be gentle and make note of which side of the bottle was down when it was laying in the rack, box, or bin. Just before you open the bottle, make sure the decanter is clean and dry with no off smells. If you are going to, now is the time to gas the decanter. Stand it up and then put the funnel into the mouth of the decanter. Now gently open the bottle taking special care with the cork. Generally, I prefer to use a “pull-tabs” corkscrew but when opening older wines I prefer the Screwpull waiter’s model. Whatever you do, don’t jar or knock around the bottle as you are likely to cloud the wine with too much movement. After the bottle is open, gently turn the bottle so that the side that was down in the rack is closest to the decanter. Now lift and gently, slowly, steadily pour the wine from the bottle into the decanting funnel as you shine the flashlight up from below the shoulder of the bottle to illuminate the wine as it passes. When sediment begins to move toward or into the neck of the bottle, you will see it. At that point, stop pouring and gently set the bottle down. If all went well, you have about 90% or more of the contents of the bottle in the decanter and the decanter is filled up into the neck. Now stopper the decanter and the wine is ready to be moved to the table or to a sideboard for service. As to Champagne, why on earth would you decant Champagne? Well, it turns out that not everyone likes ALL that fizz and many may appreciate Champagne as much or more as a wine as they do as a sparkling wine. Gently decanting Champagne as described for aged reds above will reduce the fizz by 15 to 20% (but by no means eliminate it) and give the wine a chance to take on a bit of air and so open up which increases its “vinousity” or wine character. I don’t do it often (especially not at home as my wife is a fizz fan) but I have been known to decant champagne both young and old. One of my dirty little secrets is that I like my Champagne a bit less fizzy and a bit warmer (say 50-55°F) than the accepted norm. Decanting can help me get there. Why decant? Because young or old, red, white, or sparkling, decanting can increase your enjoyment of the wines you drink. More wines will benefit from decanting than you may realize so it’s a good idea to keep a couple of basic decanters or even just a few clear empy bottle and glass carafes around. Just be sure to use the right size and shape decanter and the right technique for the age and type of wine you are preparing to enjoy. The point of long bottle aging of certain wines (such as red Bordeaux and Burgundy, Vintage port, Northern Rhone Syrah, Chateauneuf du Pape, Rioja, and others) is to let them naturally develop from aromas to bouquet, from simple to complex, and from youthful freshness to fascinating maturity. These wines can be said to be age-worthy. Not all wines develop in this way and so these others should be drunk young. Also, we sometimes want to drink age-worthy wines before they are fully mature. In either case, young wines should be treated and served differently than mature wines. For many younger wines, swirling the wine the glass may be sufficient. If the wine is particularly tight or very young, more vigorous swirling, a rough decanting, or an extended period of breathing – either in a decanter or in the glass – may be called for. More vigorous swirling is fine for tastings but may not be the best solution for a wine to be enjoyed at the dinner table. When oxygen combines with compounds in wine, those compounds can pick up one or more oxygen atoms and become “oxidized”. These new compounds have different sensory characteristics. For example, when ethanol (the main alcohol found in wine) is oxidized it becomes acetaldehyde – which in turn can be oxidized to form acetic acid. Each smells different. Similarly, polyphenols (tannins, anthocyans, and flavonoids) can be oxidized to quinones, and metals such as copper, iron, and manganese can be transformed from Cu+ to Cu2+, Fe2+ to Fe3+, and Mn2+ to Mn3+, respectively. Reduction is the opposite of oxidation; it is a process whereby compounds lose oxygen atoms. Since wine fermention is an anaerobic process (without oxygen), a number of “reduced” compounds are produced. Reduced sulfur and nitrogen compounds such as hydrogen sulfide and mercaptans, are well-known for the negative “reduced” or “reductive” characteristics they give to wines. A little aeration after opening the bottle often cures what ails’em. Gently decant them into a clean decanter or clean empty wine bottle. There are two types of decanters: those for aerating young wine and those for decanting older wines that would be damaged by aeration. If you use a decanter, use the kind for older wines. YOu do not want the decanted wine to have a large surface area. Rinse the original bottle very thoroughly with cold water and thoroughly drain it. With minimal splashing, return the decanted Port to its original bottle. Pour the wine and then gas (with Private Preserve or other nitrogen and/or argon-based wine preservation gas) and stopper what is left in the bottle. Or you can decant and then pour from and gas the decanter, as long as it has a stopper. Gassed and stoppered decanters can keep the Port as well as a gassed and stoppered bottle. Or, if you know you will drink half the bottle, you can fill (from the decanter) a half bottle and then gas and stopper it and save this half bottle for another day. As long as you gas the wine early and seal it, it will keep for at least a week. It will keep even better if you keep it in the refrigerator (but not in the door). You can use these same techniques for decanting and preserving any bottle of wine. The key to success is to expose the wine to as little air as possible. Decant gently using a funnel that runs the wine down the side of the bottle rather than one that sprays the wine out. The truly concerned wine geek might gas the empty decanter before decanting to displace the air from the decanter to further diminish the effect of oxygen. 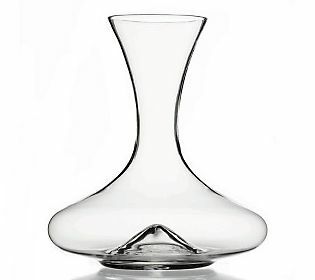 It is best to use a decanter that will be filled into the narrow neck to minimize surface area where the wine can be in contact with air. I’ve tried every other technique I have heard of to preserve opened wine. Gassing and refrigerating the wine is the way to go. This entry was posted in Uncategorized and tagged aeration, Bear Dalton, Bordeaux, breathing, Champagne, decanter, decanting, glass carafe, large surface area, Port, White Burgundy, wine preservation. Bookmark the permalink. Excellent summary on decanting wines. Want to have two different 750ml wines with dinner and not be “over served”? With proper decanting it’s easy for two people to enjoy a glass of white wine first and then switch to a glass of red for a main course.